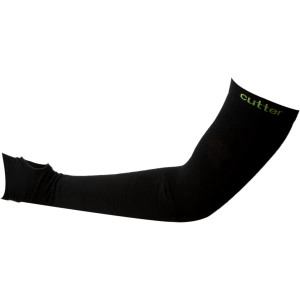 These Cutter Gunwarmers were black with neon green – same as Venom – even better! The thing that caught my eye though was the thumb hole… Love at first sight! Lol. I’ve been looking for a pair (not hard but looking non the less) that would come over my wrist. The deal was good so I got myself a pair & Dustin a pair for his ginormous guns! Not gonna lie, I could use a little downtime on the heat so I could wear these things more… Soon enough, right?? Have a great rest of the week Gear Junkies & don’t forget to enter for my Xtenex lace giveaway! I’ll be drawing Monday so be sure to get the word out! 🙂 I want to make someone’s Monday! !